Lobsters, it’s my duty to inform you that last night, no one won the $363-million Mega Millions lottery drawing, so Friday’s jackpot is expected to be a record $476 million, according to Megamillions.com. Therefore, I will be buying my first ever ticket. 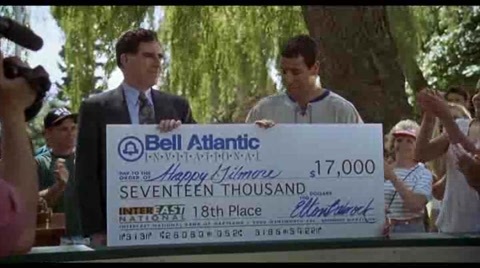 I plan on winning and I plan on getting a Happy Gilmore sized check. Lump sum. Done and done. This entry was posted in News and tagged Happy Gilmore, mega millions. Bookmark the permalink.